G36 base damage being reduced by 15 percent. 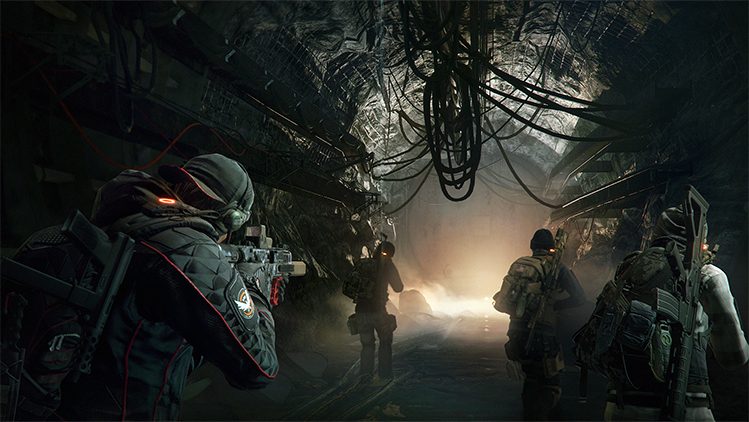 The Division‘s latest patch will be going live today as the servers go down for maintenance at 9 AM CEST/3 AM EDT/12 AM PDT. This is the same patch that will nerf the G36 which was introduced in the Underground DLC. Massive has finally revealed the severity of the nerf – G36 Assault Rifles will have their base damage reduced by 15 percent. Other bugs that will be fixed include the megamap not loading for some players, named weapons not having their talents recalibrated, AlphaBridge gloves not having any attributes (this fix will retroactively roll attributes on any existing gloves you have), the PP-19 not granting a free talent on recalibration, Sentry’s Call activating the set’s bonus with the Showstopper (which is a fully automatic shotgun and thus shouldn’t work with it) and so on. Also, those who have been dying when returning to missions after respawning in a safe house or using multiple consumables on PC to abuse the Reclaimer set should take comfort/sadness in knowing that they’re both fixed. Check out the rest of the changes here.